Online surveys offer a convenient, easy and popular way for condo directors to seek community input. Online surveying may be a feature included in condo management software or available through various services at nominal cost. Surveys are an excellent method to gathering community opinions and thoughts. Even when survey response rates are high and there is a clear indication of respondent desires, surveys are not binding votes nor do they obligate a board of directors to take any form of action. For actions that require a vote of owners, surveys offer little more than a way to gauge opinions. There is no requirement or obligation for a condo board to act in accordance with survey results. 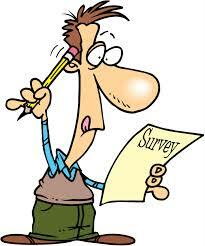 Surveys denote nothing more than an indication of respondent agreement or disagreement with stated thoughts or action. Condo directors should consider survey results, when available to them, and evaluate this information along with other information that may not be available to condo owners. Online surveys should not be confused with online or electronic voting. Online voting may be used in place of paper votes where voting is required such as condo elections.